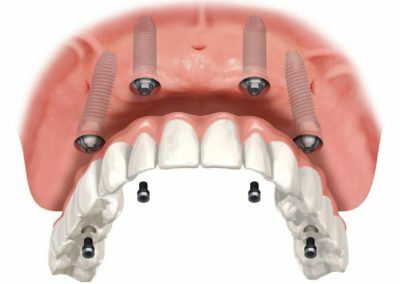 At Southtowns Dental, we’ll tell you everything you need to know about traditional and mini dental implants. These implants look and function as if they’re your original teeth, and prevent bone loss commonly associated with missing teeth. Because your jaw is an integral part of your face structure, preserving its original shape will keep your appearance youthful. If the jaw recedes, the skin around your mouth will sag and appear shrunken. Traditional dental implants are tooth-root replacements placed into and fused with the jawbone. 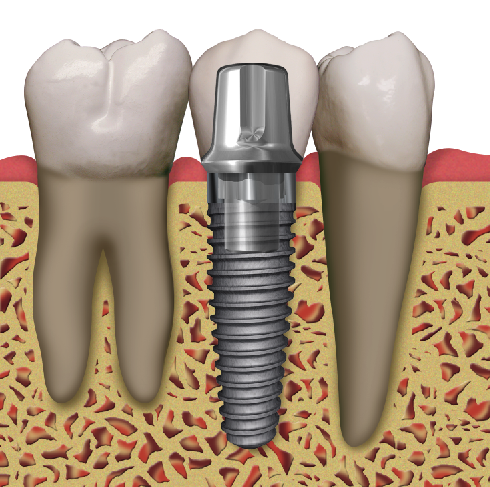 The implant simulates the root of a pre-existing tooth and will look, feel, and function like your natural tooth. 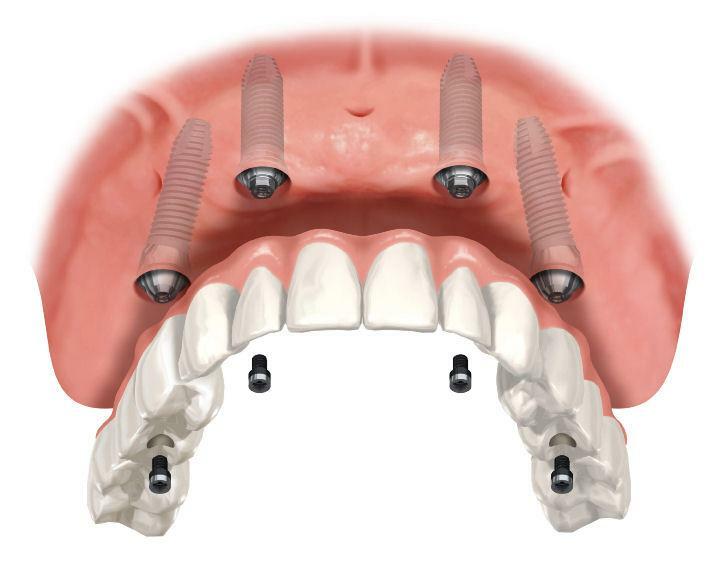 Unlike dentures or bridges, dental implants don’t move or shift, and they can last a lifetime. 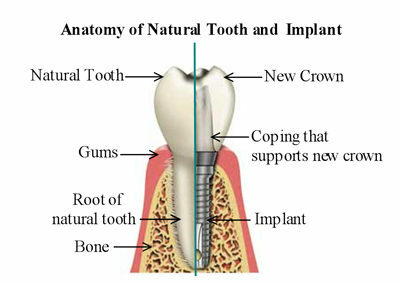 Traditional implants can be used to replace a single tooth, a few teeth, or all of the teeth in your mouth. These implants have also proven to be reliable, with a 95% or higher success rate, supported by decades of clinical experience and hundreds of thousands of satisfied patients. Though age is not a determinant for dental implants, the amount of bone in your jaw and your overall health can be a deciding factor. Regardless of where you think you stand, our staff will work with you to see if you’re eligible for this life-changing procedure. 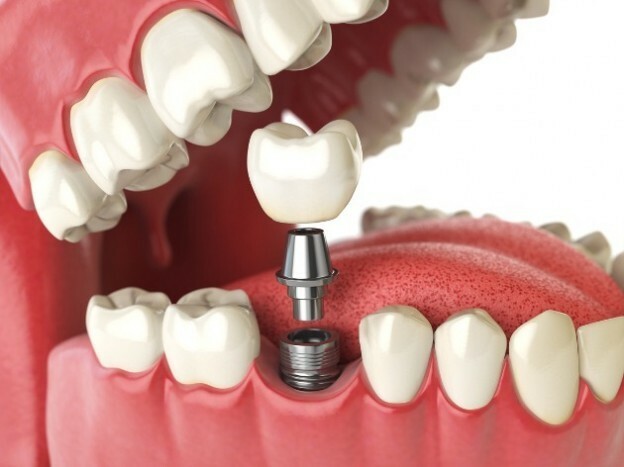 Mini dental implants are commonly used to secure dentures and eliminate sore spots. They’re also a quick, cost-effective way to keep your dentures from slipping or falling out. This greatly improves your speaking and eating ability, allowing you to live a healthier, happier life. 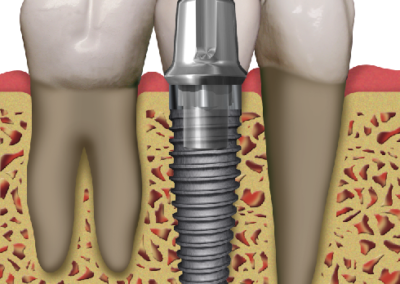 Mini dental implants are placed in one visit at our Buffalo office and do not require surgery. Fill Out The Form Below To Get Your Free No-Obligation, No-Pressure Dental Implant Consultation! At Southtowns Dental, our consultations are always free, giving you a chance to tour our office, meet our team, and discuss any concerns you may have. I can’t express enough how wonderful my experience was! I am an utter basket case with an anxiety inducing phobia of dentistry, but every single person was understanding, patient, kind and helpful. Donna, Vicky and Dr. Bill got me through it all. Thank you all and your entire staff. I WILL be back and will highly recommend your office to everyone! After years of scarring dental experiences and multiple dentists, this is the first time I can say I found the place I should have been all along. The office staff is very friendly and inviting, the dentist and assistant are very patient informative and extremely respectful. If you want a good experience with high quality work you need to go here. Such a wonderful office. If you need help or are in pain they will do whatever it takes to see you. Dr Bill is absolutely fantastic and I would recommend this place to anyone. Thank you Southtowns Dental. They got me an immediate appointment, took care of me 2 broken teeth, and always so professional and friendly. Good preappointment reminders. No waiting. Friendly and efficient swrvice. Excellent oral care. I am glad I found this dental practice. Very good experience, friendly staff, no stress getting dental work done here. I have been going to Southtowns Dental since I was a little girl! I love it there, everyone who works there makes you feel at home! I will be taking my kids here one day. Dr Kevin has always been the best I have been to . The decision to get adult braces was easy and painless at Southtowns Dental. Their work speaks for itself. By far the best in Buffalo! I've been a patient here for over 20 years. They are all geat! What can I say about this group that hasn't already been said. If you want to feel that personal connection and dedication come to Southtown Dental Services. Our family has been going to Dr. Kevin & Dr. Beth for over 10 years. And now we have had the pleasure to work with their son Dr. Bill. It isn't just the dentists that make you feel comfortable, but all the staff get to know you and treat you like family. I also admire how the Dr's give back to the community with their dedication to Wing Flights of Hope. I am proud to be part of this outstanding practice. My family and I feel very fortunate to have Southtowns Dental to help us with all our dental needs! Everyone is always friendly and professional while doing a 5 star job for us!Thank you, Southtowns Dental! Joyce D.
Have been going to Southtowns since the 80's. They are wonderful. Traci is the best!! Highly recommend. Southtowns Dental is the best! Going to the dentist is actually enjoyable@ SDS. The friendly, professional atmosphere is a joy. Dr. Beth has been my dentist for years, and she is outstanding. My dentist since the "60's" - love them- wouldn't go anywhere else. I had to have a crown done, and I ended up leaving the office laughing. Everyone there has been great !!! I have been with this practice since 1986 and I LOVE this group. The team at Southtowns Dental Services are always professional, friendly, and genuinely care about their patients. These characteristics are demonstrated across the board, from the front office staff to the clinician. I always recommend Southtowns Dental to my friends and family. Service was great staff and doctors made feel comfortable and answer many questions and concerns I had. Always able to take me right away in an emergency for myself or family member. Quick, painless dental services. Pleasant staff. Always a pleasant experience even when I need work done! Dr. Callahan is fantastic!